Have you been for a really great walk, seen a fantastic sight, or even just have a countryside question that you’d like us to answer? Perhaps you have a good volunteer story, or a photo you’d like to share? Let us know and we’ll post it here! Conservation Volunteers at Birks of Aberfeldy carrying out path maintenance. This photo of a common toad was taken by Calum. What wildlife have you seen in your garden? 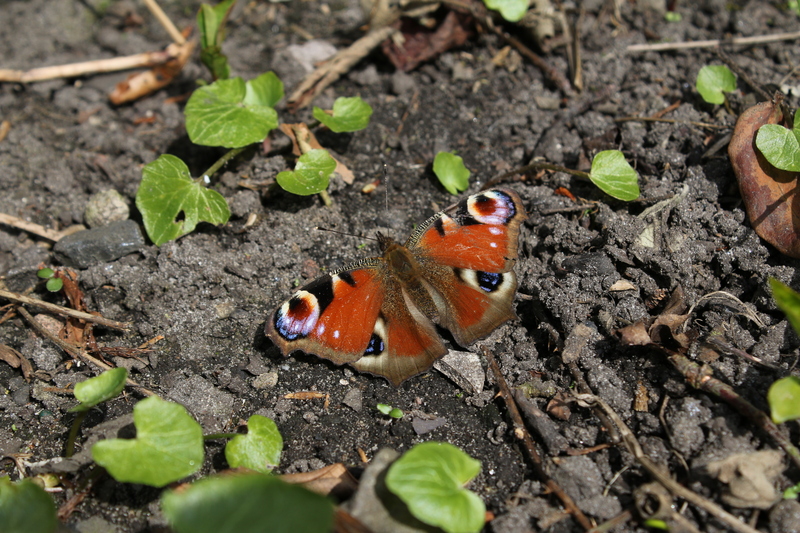 This Peacock Butterfly was seen at the well at Scotlandwell in Kinross-shire. Have you seen any where you live? What else have you seen?